Home » Why Freeway Insurance? Freeway Insurance is known for providing high-quality, low-cost insurance options for all drivers regardless of their record or insurance history. Freeway Insurance has been in business for more than 30 years and offers 400+ convenient office locations across the country with English and Spanish-speaking agents available in-person or over the phone. Shopping can be fun, but when it comes to things to shop for, car insurance probably isn’t at the top of your list. Getting quotes and comparing coverage options can be tedious and with countless insurance companies out there making endless claims, you may be wondering which company is the right fit for your needs. If you seek affordable insurance from a company with a proven track-record, then you have come to the right place with Freeway Insurance. Freeway Insurance is known for offering trust, savings and peace of mind. Freeway Insurance is dedicated to providing quality insurance policies that meet your needs at a price you can afford. These inexpensive options are available to every driver regardless of their driving record. Whether you are interested in the most basic policy or top-of-the-line premium coverage, our dedicated staff of professionals will find an insurance plan that works for you. Are you a new driver, or do you have a less than perfect driving record or low credit score? Have you been turned down by other insurance carriers because you are a high-risk driver? You do not have to worry because Freeway Insurance can insure anyone regardless of whether you have had tickets, accidents, a DUI, a lapse in insurance or require an SR-22. Freeway Insurance has been in business for more than 30 years, making it a recognized and trusted brand. Our time in the industry has enabled us to build a team of experienced insurance advisors who know how to get you the best car insurance available. This team helps to save drivers money by finding available discounts such as good driver discounts, student discounts, multi-policy or multi-car discounts, military discounts and more. There are no long-term contracts involved with a Freeway Insurance policy and flexible month to month payment options are available to meet your financial needs. Freeway Insurance offers 400 convenient office locations across the U.S. in Arizona, California, Florida, Illinois, Missouri, Nevada, New Jersey, New York, South Carolina and Texas. These locations provide you with a local site to pay your bill or discuss your policy. Use our office locator at FreewayInsurance.com to find the location closest to you. Whether you speak English or Spanish or whether you want to discuss your insurance in-person or over the phone, Freeway Insurance has an option that will work for you! We have English and Spanish-speaking agents available 24 hours a day, seven days a week and 365 days a year. Do you prefer to get a quote online? Visit us at www.freewayinsurance.com and handle the process on your laptop or smart phone from the comfort of your home. In addition to auto insurance, Freeway Insurance also offers commercial vehicle, truck, motorcycle, renters, homeowners, life, motorhome, ATV, watercraft, and boat insurance. Roadside assistance, identity theft, and AD&D plans are also available. 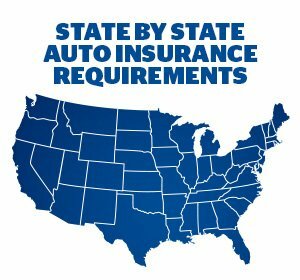 With all of these coverage options, Freeway can help protect all of the valuable things in your life. If you have read all of these facts about Freeway Insurance, but you are still wondering “Is Freeway Insurance a good company?” then you may want to see the feedback from our customers themselves. Read Freeway Insurance reviews from actual customers who are completely satisfied with Freeway for everything from the price to the customer service. Contact Freeway Insurance now for a fast, free, and personalized quote. Call 800-777-5620 or request a free car insurance quote online.